Where do I use my Craft Gin Club voucher code? The Craft Gin Club is one of the greatest creations for gin lovers far and wide. By choosing your own subscription package, you have the perfect opportunity to explore some of the world’s best craft gins and flavours - a must for those who love a tipple. Each time you experience a new, delicious and unique flavour of juniper goodness, you won't be needing the supermarket shelf Gin any longer. 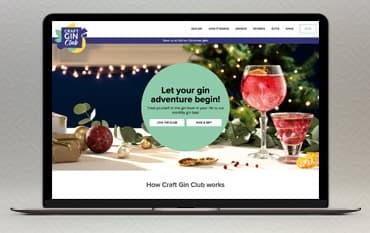 What’s more, using one of our money-saving Discount Codes found on our Craft Gin Club deals page, you can save money off your Monthly subscriptions making it even more affordable to experiment with these fantastic craft gins for less. From London Dry Gins to those bursting with botanicals, fragrance and exotic flavours - each and every bottle is sourced from independent distillers and guaranteed to make your G&T taste buds tingle! Everything you choose is picked by experts so you can guarantee quality and the very best tonic to compliment your gin. Keep a lookout for a Golden Ticket which will be packed away in each members gin of the month box too! With so much to try, you and your gin friends will no doubt be in your element so what are you waiting for? A Monthly Craft Gin subscription box is the perfect way to satisfy your taste for the good stuff! Each and every box will be is a delightful bottle of craft gin and tonics to compliment - the perfect monthly surprise for all gin lovers. It will be even more delightful knowing you have saved online using one of our Craft Gin Club Voucher Codes. Expect a full-sized bottle of special gin and tonics with your order as well as other mixers, snacks and the Gin Club magazine too! Check out the array of options available online now and don’t hesitate to grab a discount from us to ensure you’re spending less. Every member will receive their Gin Box within the first 7 days of the month. Delivery is free of charge and is sent via the Royal Mail. No. With the Craft Gin Club, you’re in control. You can choose to receive your box every month, every other month and every 3 months. You will only pay for the months you receive one and you’re free to change or cancel your membership at any time. A Monthly Subscription costs £40. The contents usually cost over £55 so you can guarantee value for money. If you sign up today, you can save 30% off your first box. Specialists in all things Gin, The Craft Gin Club are the ultimate go to for your gin fix! This exciting company is ready to deliver you only the finest varieties of gin including all your favourite brands and flavours together in a fun subscription box. You can join the fun club for less using one of our Craft Gin Club Discount Codes making your next tipple certainly one you will remember. You can choose to have your box of goodies delivered monthly, bi-monthly or quarterly depending on how much you love gin!